The “Rotunda Dance Series” is a set of free monthly dance performances in San Francisco City Hall’s extraordinary rotunda, Dancers’ Group and World Arts West have once again partnered to bring audiences lunchtime glimpses into movement and musical traditions from around the world. 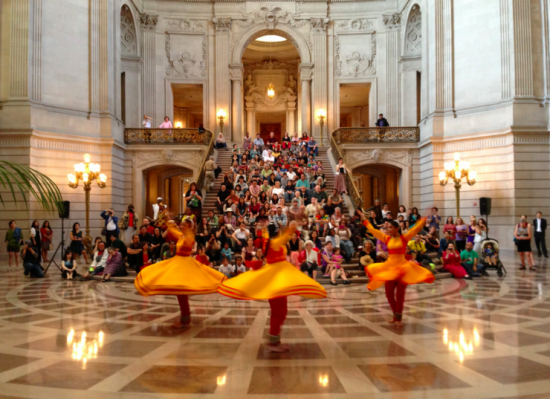 Set amidst the grandeur of San Francisco City Hall’s Rotunda, these free lunchtime presentations bring dance forms from across the globe to this magnificent venue. All performances are free and start at noon.